Amanda Simmons/Press-Tribune | The Louisiana Department of Transportation and Development will begin LiDAR scanning Thursday, May 31, as part of the I-20/I-220 Barksdale Air Force Base (BAFB) Interchange project in Bossier Parish. The Louisiana Department of Transportation and Development will begin surveying work Thursday morning as part of the environmental portion of the I-20/I-220 Barksdale Air Force Base (BAFB) Interchange project in Bossier Parish. The LiDAR method is used to measure distance by utilizing laser lights that make digital 3-D representations of the intended target. 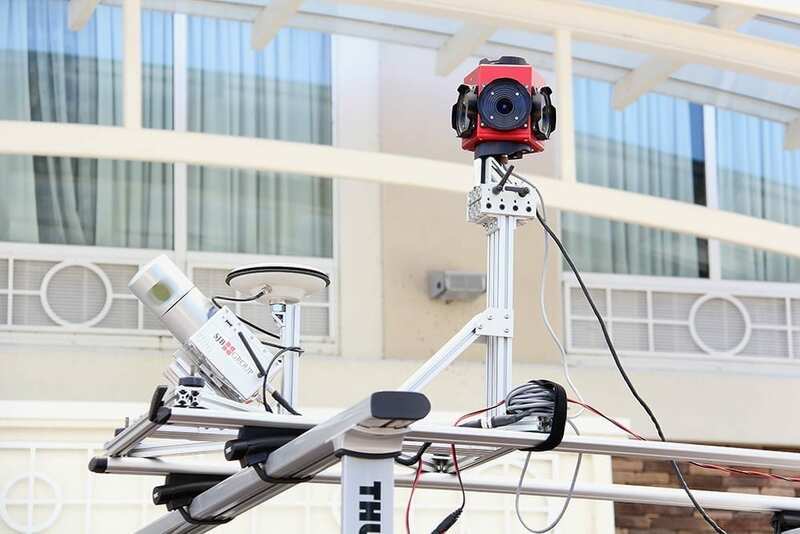 DOTD has used this technology in previous projects throughout the state, and it has been proven to be a useful tool in the Topography Survey Process. Because it is necessary to operate the LiDAR vehicle slowly, motorists may encounter a slow-down of traffic in this corridor similar to a funeral procession, though there will be no lane closures. Surveying work is weather dependent, and should take place May 31 from approximately 7 a.m. to 3 p.m., during non-peak travel times. Buchanan said the vehicle works similar to that of a Google Maps car. 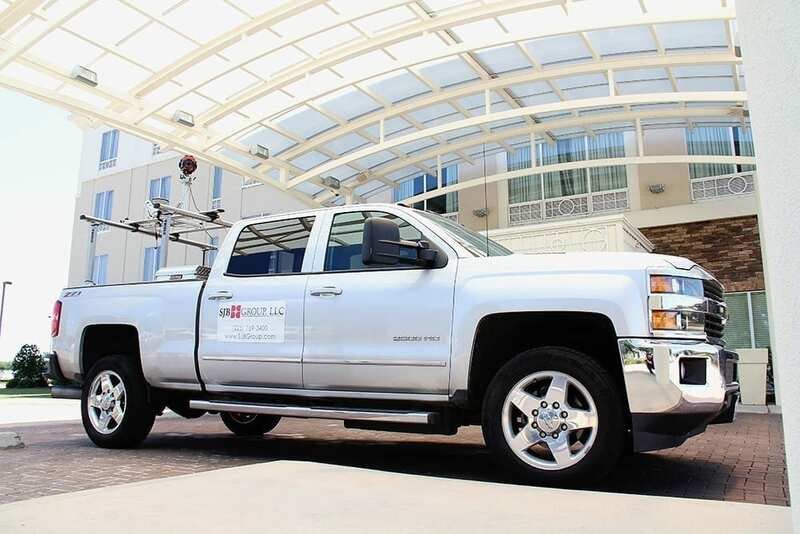 Photo by Amanda Simmons/Press-Tribune | A look at the vehicle that will be used for the DOTD’s LiDAR scanning Thursday in Bossier Parish. Funds for the new entrance to Barksdale Air Force Base were approved by the state in April by the State Bond Commission. The $600 million Grant Anticipation Revenue Vehicle Bonds, also known as GARVEE Bonds, will fund the new entrance in Bossier, as well as other infrastructure projects throughout the state. The approximate cost of the project is about $90 million. The local investment from the City of Bossier City and Bossier Parish is $6 million. The state and local entities will repay the debt using the federal highway funds received each year over the course of 12 years. LADOTD Secretary Dr. Shawn Wilson has previously said the Barksdale project is a priority because the base has several entrances that are heavily congested with no direct interstate access, as well as railroad tracks that can be an obstacle. The plan was already approved by the Joint Transportation Committee and Joint Budget Committee before going to the State Bond Commission. The Joint Transportation Committee approved a design-build proposal for the interchange project in January. The process allows the contractors to design and build simultaneously, and ultimately will save both time and money on the project. If all goes smoothly, the project is expected to have funding finalized by the end of 2018 and be under contract by 2019. “If we followed the normal process, it might not be until 2022 or 2023 until we get started. Under this process, it could be open by 2022 or 2023. Maybe even sooner,” Dr. Wilson said in February.